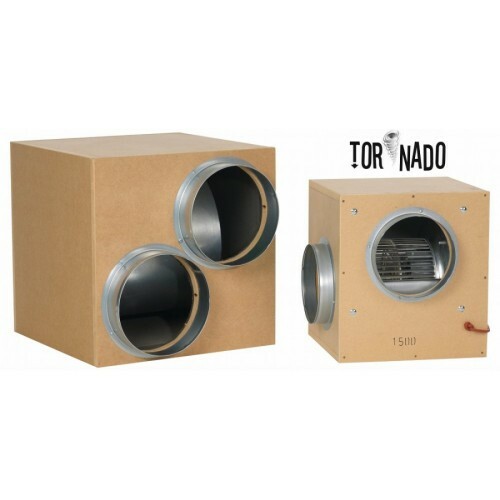 Tornado MDF Acoustic box fans are extremely powerful with minimal noise thanks to its acoustic housing. These Box fans come in all kinds of sizes in spigots from 6 inch -12 inch (150 - 315 mm) with multiple extraction holes that connect to your filter(s) so you can have one fan to do it all. Tornado Fans range from 1000 M3 to 4250 M3. These box fans are a must have for large scale growing or minimal noise grow rooms. Please match filters with fans eg. 2 x 315/600 mm Rhino Filters rated at 2440m3/hour each will suit a 4250 Acoustic box fan with 2x12 inch and 1x12 inch out. You should always ensure that your filters either match your fans air flow, or exceed it.